We synthesized ZrO2 and yittria-stabilized ZrO2 crystals by the floating zone (FZ) method to evaluate their scintillation properties. 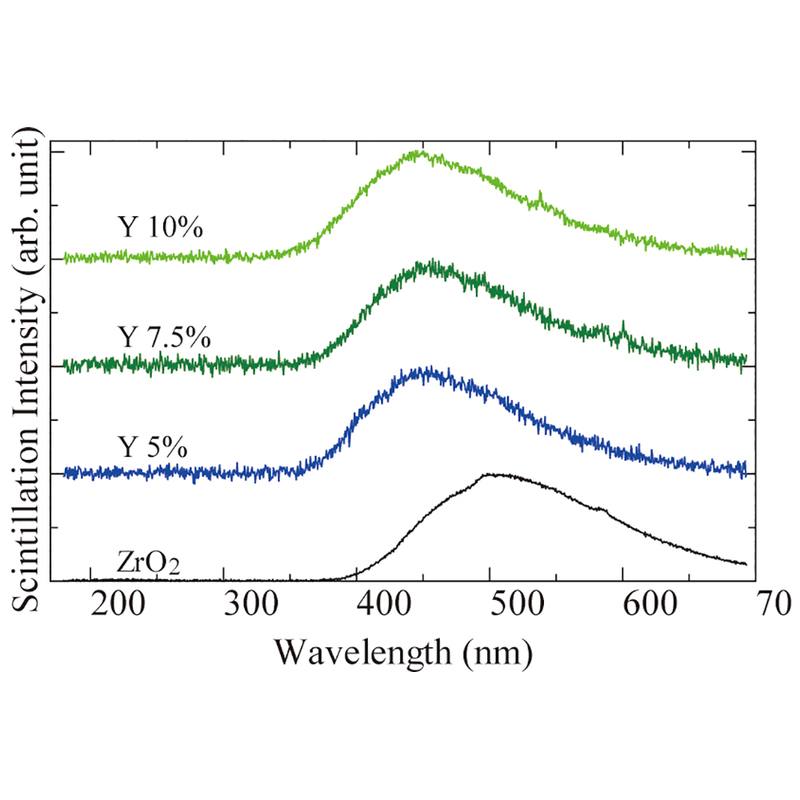 Under excitation at around 250 nm, the photoluminescence (PL) emission peak appeared at around 450 nm. In the X-ray-induced scintillation spectra, an intense emission peak was also observed at around 450 nm in all the samples. The scintillation decay time profiles were approximated by a sum of two exponential decay functions, and the obtained value varied from 30–90 and 300–2230 ns depending on the composition.